So which place stole my heart? I'm wanderlusting and love-struck for southern Utah-northern Arizona. 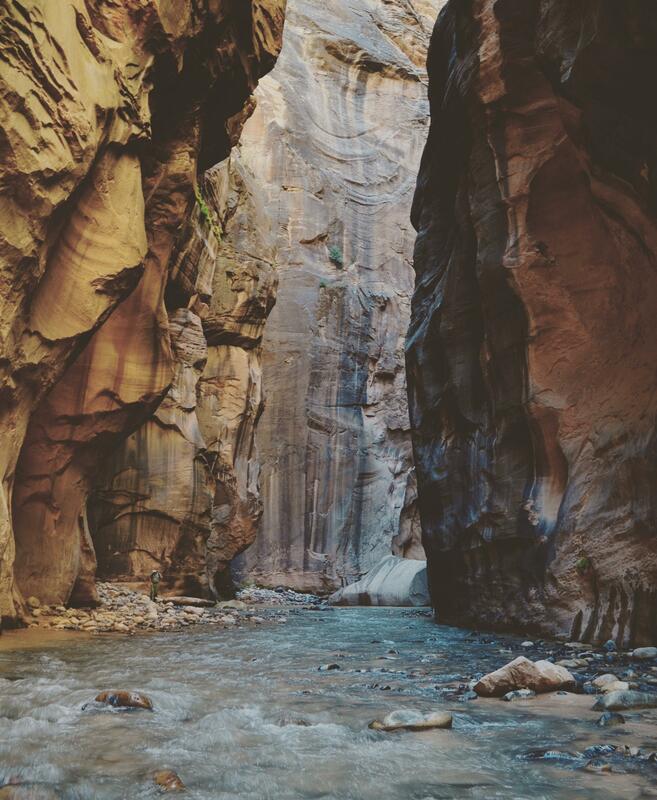 And you need to go - because I just did the coolest hike that wasn't even a trail: The Narrows (Bottom Up) in Zion National Park. What makes it so remarkable? 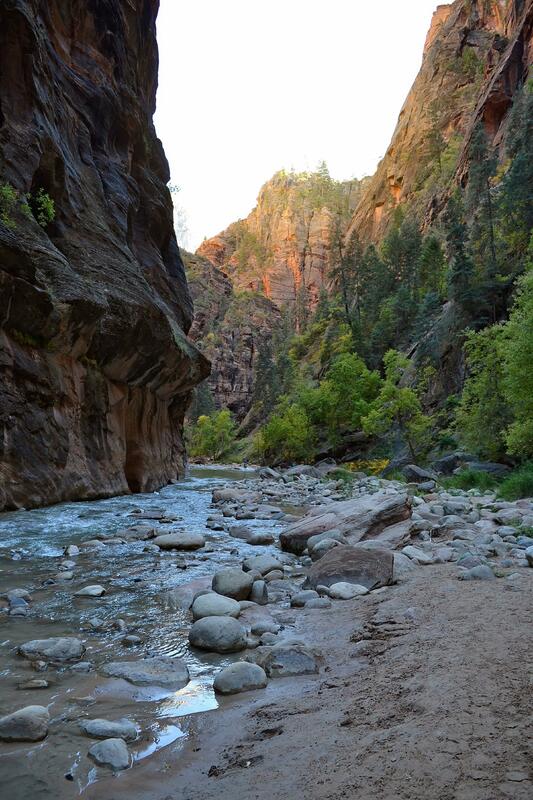 Simply put, have you ever hiked up a river? Talk about an Indiana Jones-caliber adventure. 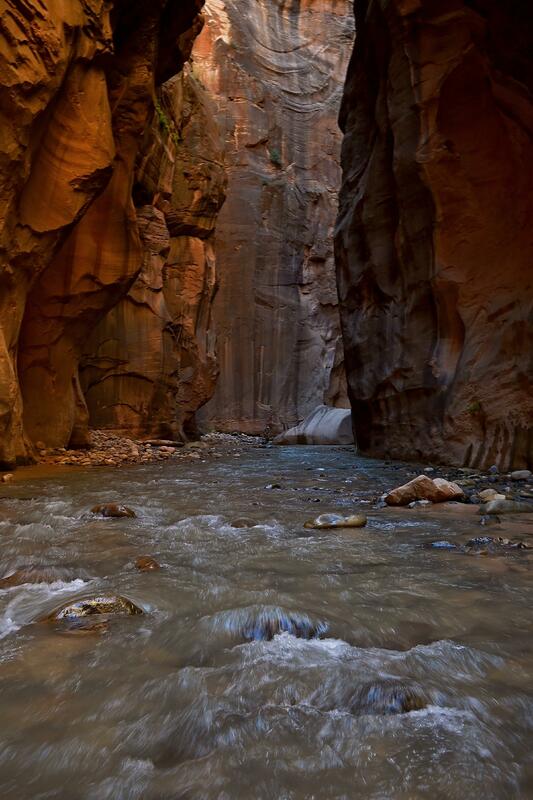 Bottom Up follows the Virgin River through a canyon whose towering walls can measure a dizzying 457 metres (1,500 ft) tall. 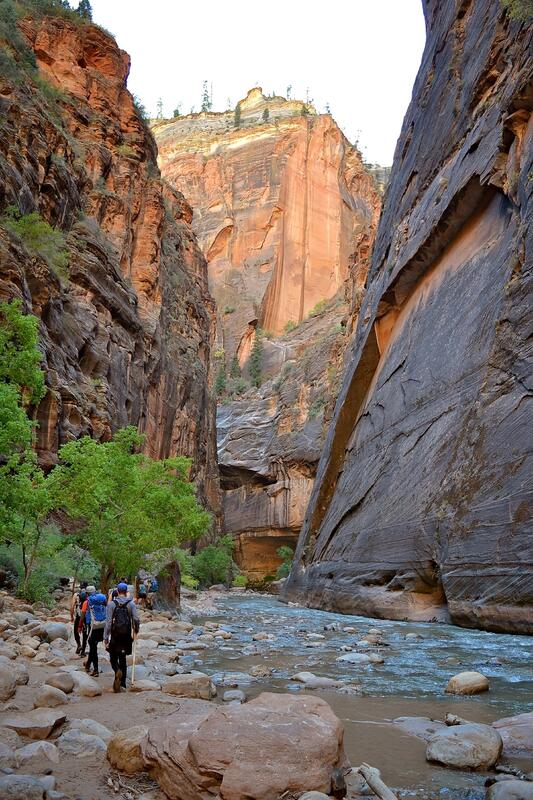 The further one hikes from the trailhead, the more the canyon bottlenecks. 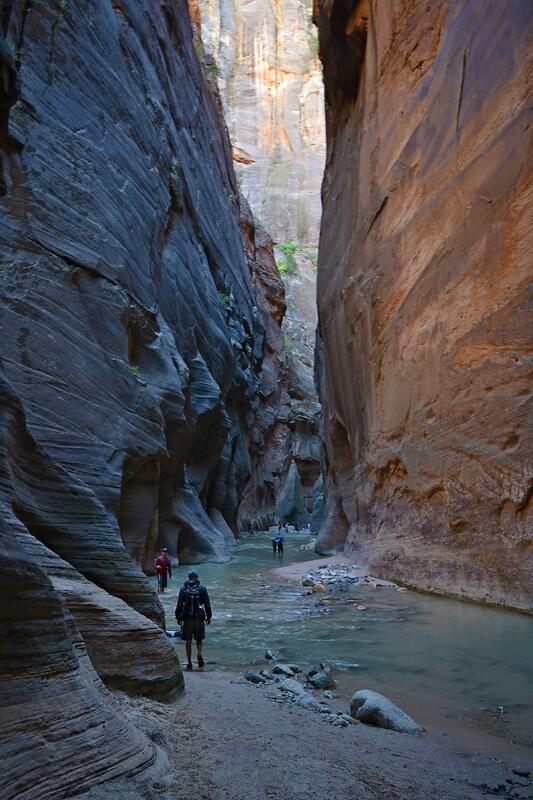 At its narrowest, the chasm measures just 7 metres (15 ft) wide. Interesting features are found along the way too: Mystery Canyon Waterfall, House Rock, Floating Rock, Orderville Canyon, Hiccup Spring, the Boulders, and Big Spring. Length: As far as you want to go; up to 8 km (5 miles) one-way. This is an out-and-back trail. How hard is it? Medium-easy – as long as you don’t roll an ankle and don’t mind cold water. How long will it take? Up to 4.5 hours one way, shorter if you turn back earlier. Where is the Bottom Up trailhead? Stop 9 – Temple of Sinawava. Follow the paved Riverside Walk one mile to the end. 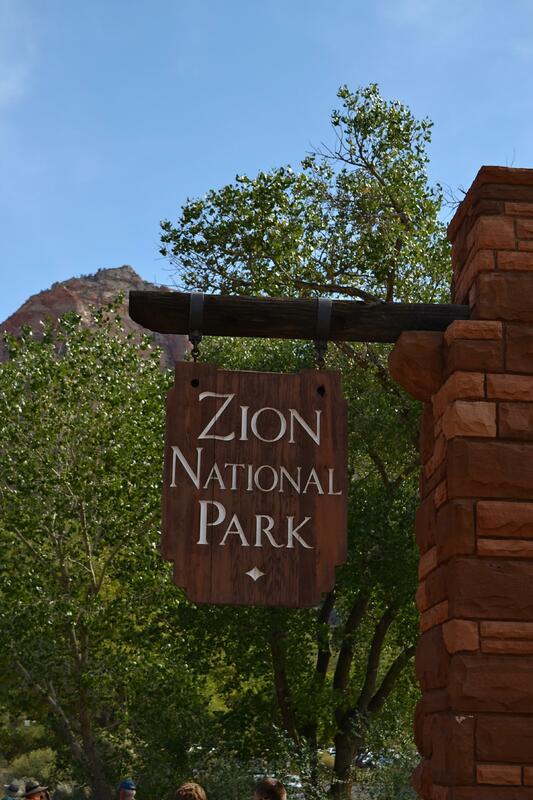 If you are taking the Zion Canyon Shuttle, you should budget 30-60 minutes from the park entrance to the trailhead. 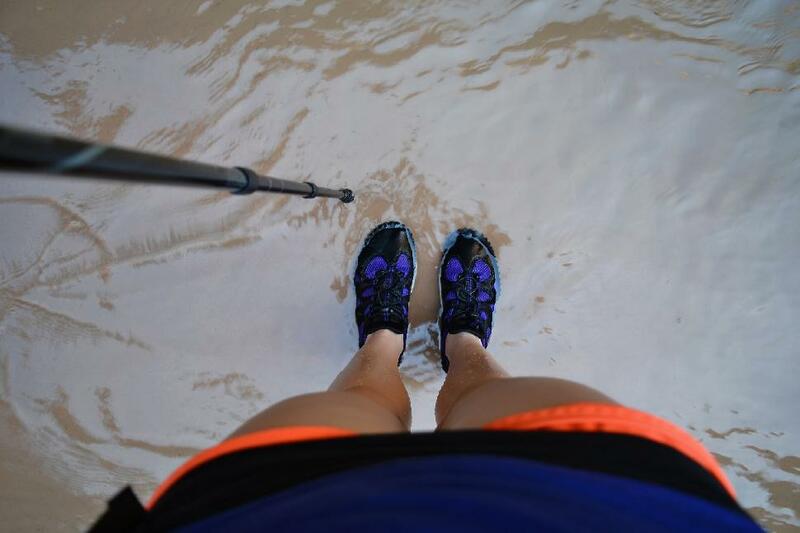 Equipment: Wear footwear with a sturdy sole that you’re okay with fully submerging in water. 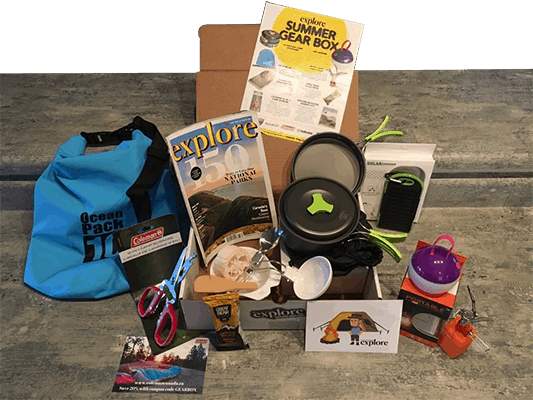 (Sport sandals, runners or water shoes.) A walking stick (or two) is helpful for navigating the river. 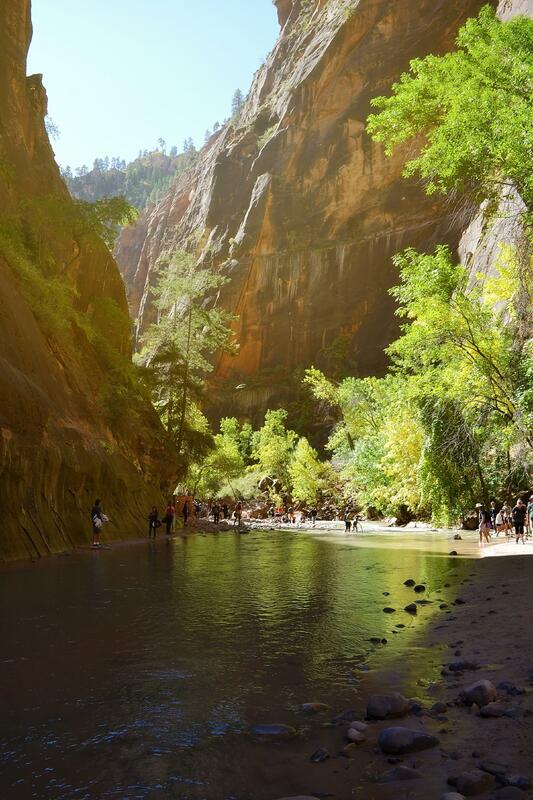 It can get chilly in the shade of the canyon, so bring warm layers. 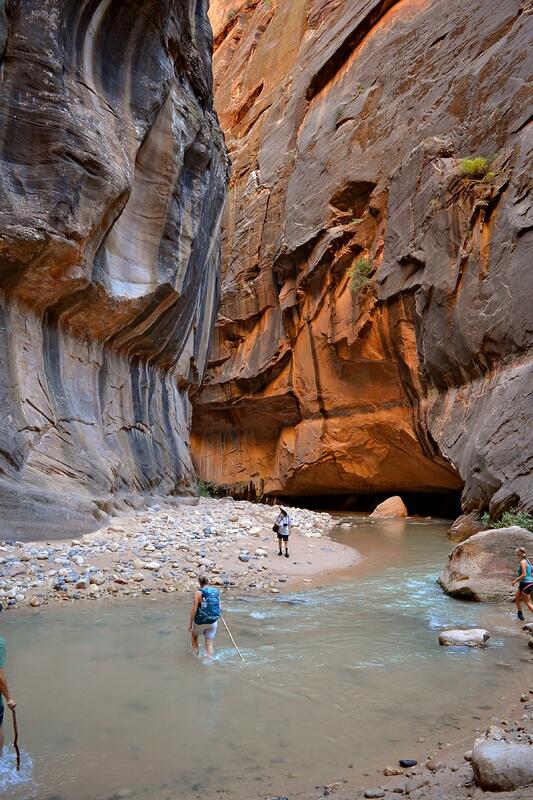 Hip waders and all other gear is available for sale or rent at various outfitters operating near Zion National Park. 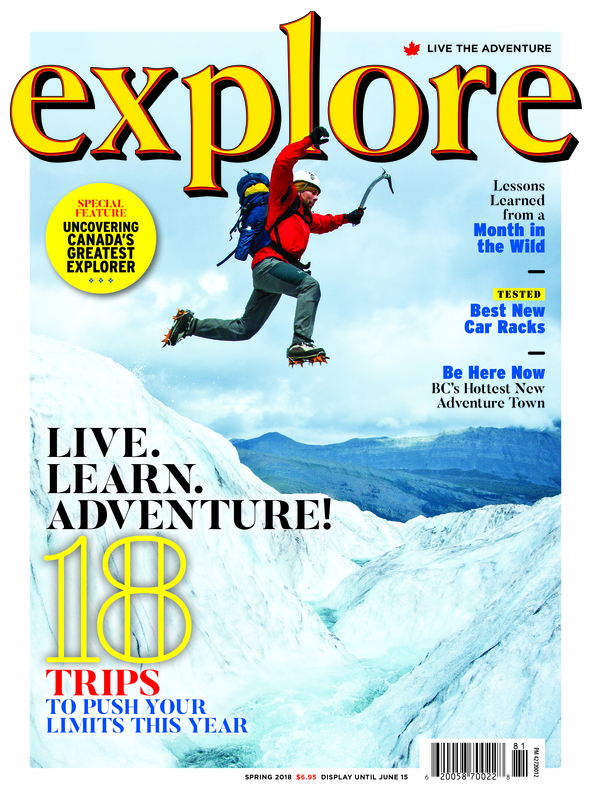 Is Bottom Up trail accessible year-round? No. Accessibility depends on water levels. Check ahead and be aware of the risk of flash floods. Do not hike on rainy days or during spring run-off. 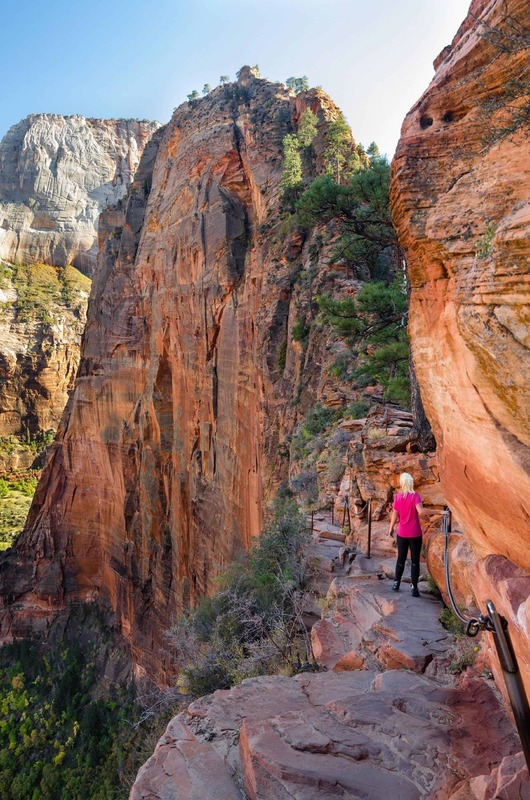 Take a break from the snow and head to southern Utah for some of the best hiking and biking in North America. 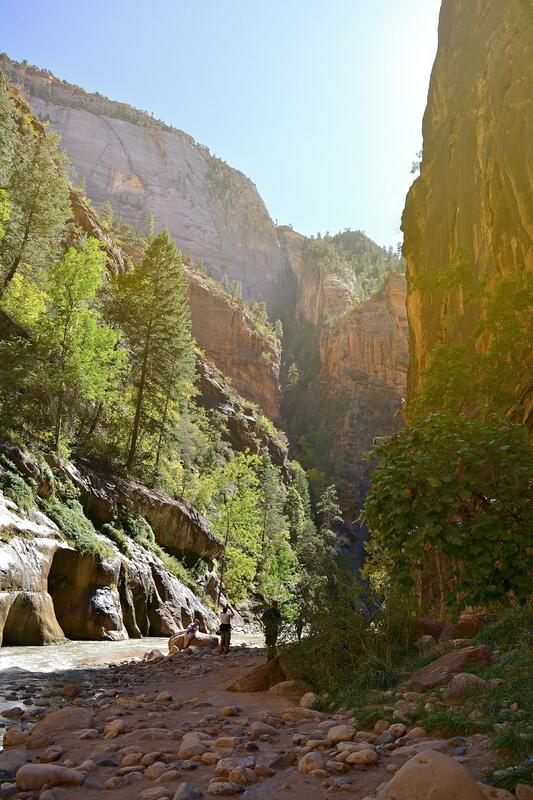 And yes, in Zion National Park 14 summer starts in spring.